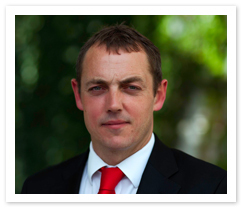 Brian is a Chartered Accountant and qualified Tax Consultant with 15 years experience in private practice. Brian was a senior tax manager with the Dublin Andersen tax consulting practice until 2002, when he then joined Smith & Williamson Freaney (formerly Oliver Freaney & Co) and acted as Partner in charge of Taxation Services delivering tax advice and structuring solutions to a wide client base on matters such as property development, business acquisitions and disposals, inheritance tax and shareholder remuneration/reward strategies. Brian left this role in 2011 to set up Tax Partners. Brian focuses on meeting client’s tax structuring needs to manage the overall incidence of taxation on personal and corporate income and wealth. Brian also delivers client representation services on Revenue negotiations, formal tax appeals and technical interpretation disputes. David is a member of the Institute of Chartered Accountants in Ireland and the Irish Taxation Institute and achieved second place in Ireland in his final taxation exams. 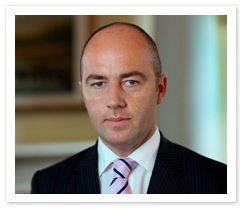 David advises clients on all taxation issues and has particular expertise in Corporate Tax, VAT and Capital Gains Tax. David has advised clients on business sales and acquisitions, corporate reorganisations, and succession planning including tax efficient exit of founder shareholders. He has also advised foreign businesses setting up operations in Ireland and has provided VAT on property advice to one of Ireland’s largest retailers. Prior to establishing Tax Partners, David worked in the Corporate Tax group at Deloitte where he carried out his professional training and subsequently worked in the tax department at Smith & Williamson Freaney as an Associate Director providing advice to clients on personal and business tax matters. 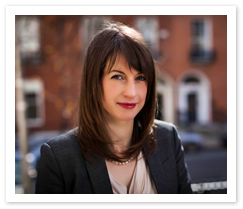 Mai is an Irish Taxation Institute Chartered Tax Adviser. Prior to joining Tax Partners in 2012, Mai worked at Deloitte where she completed her professional training. Mai has also worked with State Street bank and Smith & Williamson. Mai advises clients on all tax issues and has particular expertise in Income Tax and capital taxes. Mai has advised international and Irish individuals, private companies and trusts in relation to residency issues, investment holding structures, retirement and succession planning, and property transactions. Tax Partners is a specialist practice providing progressive and innovative tax advice and solutions to clients. 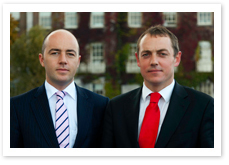 We advise Irish family business and high net worth individuals on managing their family and business taxes.